Four novellas of home and honesty and Amish living, these stories are a delightful and tender escape from modern stresses. Love the simple-living of Amish fiction? Cevilla Schlabach, Birch Creek's resident octogenarian matchmaker, is surprised when Richard, a man from her Englisch past, arrives in Birch Creek for a visit. While he and Cevilla take several walks down memory lane, they wonder what the future holds for them at this stage of life—friendship, or the possibility of something else? At eighteen Hannah Kauffman made a terrible mistake. Her parents and members of her Jamesport Amish community say they've forgiven her. But she feels their eyes following her everywhere she goes with eighteen-month-old Evie. Thaddeus, Evie's father, escaped this fate by running away from Jamesport. Now that Thaddeus is gone, Hannah's old friend Phillip is stepping up to be by her side. He has waited patiently for Hannah to realize just how much he cares for her. But when Thaddeus returns after two years, Hannah can't deny the love she feels for him. Does the fact that Phillip has waited patiently for her all this time mean that she owes him something? Can she trust either one of them? Can she trust herself? She has repented and been forgiven by the One who is most important—her heavenly Father. But is she willing to risk making more mistakes by opening herself up to love? 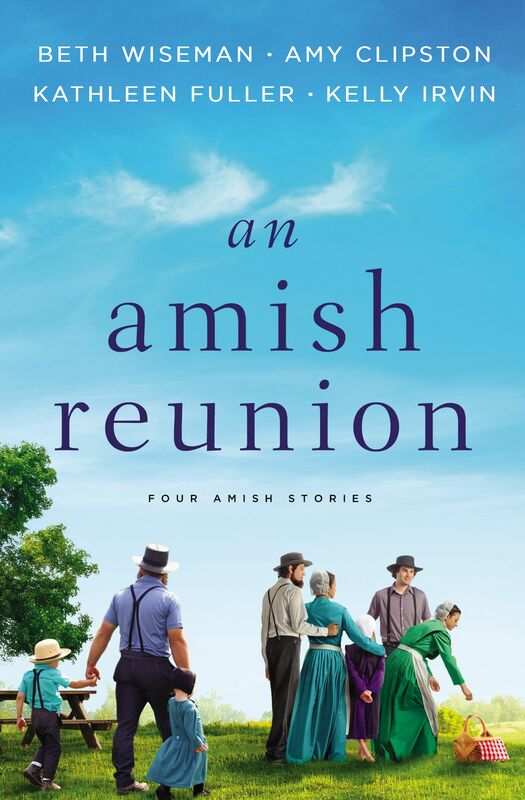 An Amish Reunion by Amy Clipston; Beth Wiseman; Kathleen Fuller; Kelly Irvin was published by Zondervan in April 2019 and is our 5526th best seller. The ISBN for An Amish Reunion is 9780310352716. Be the first to review An Amish Reunion! Got a question? No problem! Just click here to ask us about An Amish Reunion.